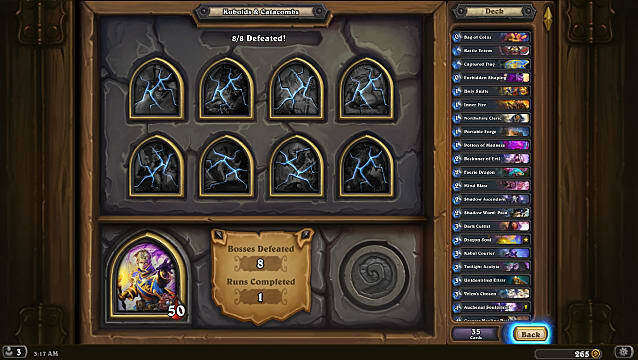 With the release of the new Kobolds & Catacombs card set, Hearthstone received a brand-new solo adventure: Dungeon Run. 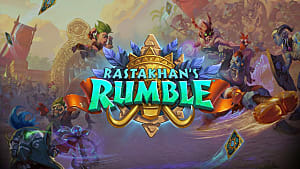 It requires players to play against eight different bosses and will reward them with a new card back if they manage to finish the run with all nine hero classes. This new adventure has a lot to offer, including lots of new abilities and challenges. 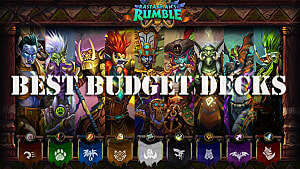 If you can't decide which card bundles, treasure cards, and passive abilities to choose for each class, then follow this guide for all the best possible combos. 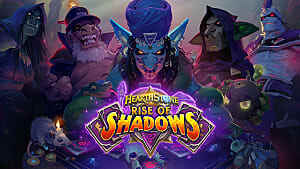 In the course of the adventure, you will get to choose two passive abilities and two unique treasure cards, and after each boss, you will get to choose a new bundle of cards, which will be added to your current decklist. 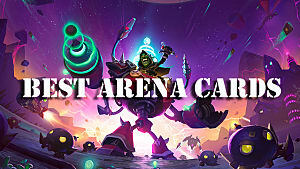 In total, there are 14 passive abilities, 28 treasure cards, and 12 card bundles for each class. Your decisions will define whether your Dungeon Run will go smoothly or run into lots of obstacles. So how do you choose the best combinations of cards and abilities? The starting 10-card deck for Druid offers a midrange strategy with a few beasts and removals. However, you should opt for a different course: Aggro and Jade, or Stampede and Jade Fangs, as they are titled in the adventure. 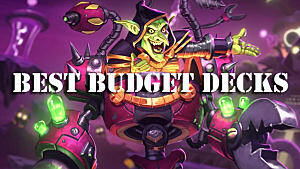 One of these card bundles will give you the most advantage on board. If you decide to play with Jade Fangs, then the best passive ability to have is Battle Totem, which triggers all your battlecries twice. Since most Jade cards are based on battlecries, this will help you grow your board rather quickly. The best treasure card for Jade Fangs is Bag of Stuffing, which will help you draw all of your Jade Idols in one turn. If you go for Stampede archetype, then choose either Captured Flag, which gives all your minions +1/+1, or Cloak of Invisibility, which makes them permanently stealthy. As for the treasure card, be sure to take Horn of Cenarius, which will recruit three minions for you. Hunter has always strongly relied on beast synergies, so the best strategy is to either go aggro with Wee Beasts bundle or opt for a more powerful beast deck with Big Beasts. The best passive abilities for Wee Beasts are Captured Flag for buffing and Crystal Gem, which will grant you an additional mana crystal for great tempo plays. The best treasure card in this case is obviously Horn of Cenarius. Big Beasts is a relatively slower archetype, but potentially way more dangerous, especially in combination with an ability such as Scepter of Summoning, which makes all your big beasts cost 5 mana. But you can go even further and choose the Boots of Haste treasure card, which will make all your minions cost zero for one turn. There are lots of possible options to go with the Mage class, but these two bundles are especially effective: Magical Friends and Fire. 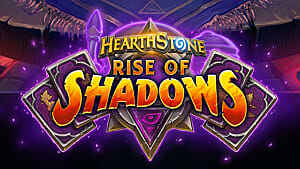 The first one involves some of the best and most aggressive cards for the Mage class, such as Flamewaker and Archmage Antonidas, while the second one is all about destroying the enemy's board and face. Both archetypes will greatly benefit from the Robe of the Magi ability, which gives all your spells +3 damage. Also, if you want to keep your Flamewaker and Antonidas alive for longer, then also choose Cloak of Invisibility. The two best treasure cards for Mage are Archmage Staff, which will consistently provide you with spells every turn, and Bag of Coins, which will give your Antonidas enough fuel to produce more of those pesky Fireballs. 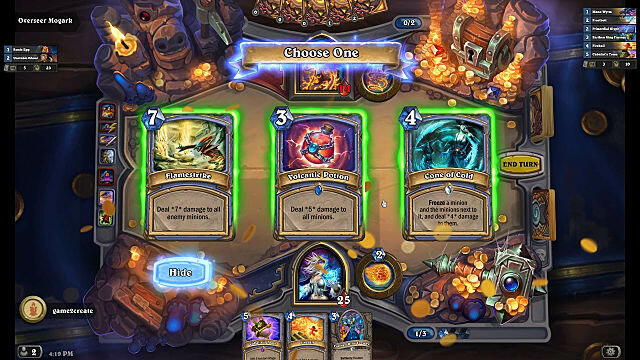 Alternatively, you could choose the Elementals package and never worry about your life total due to Frost Lich Jaina's ability. Murlocs (the most powerful archetype). All these bundles are rather aggressive, so the best passive abilities for Paladin would be Captured Flag and Justicar's Ring, if you decide to go for the Silver Hand bundle. It will grant you new hero power that will summon two tokens instead of one. As for the treasure cards, Bag of Stuffing and Horn of Cenarius are again what you're looking for. The two most definitve archetypes for Priest are Dragon Priest, which is a highly efficient tribal deck, and Last Rites, which relies on all the available deathrattle synergies, including one of the most powerful cards in Hearthstone, such as N'Zoth. For a Dragon bundle, you can take either Battle Totem or Captured Flag, depending on how aggressive you want to be. As for the Last Rites, you can go with Totem of the Dead, because it includes many important deathrattle cards, which will now trigger twice. 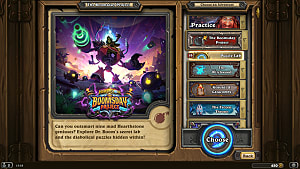 The two treasure cards you can easily go with are Dr. Boom's Boombox, if you've got the Totem of the Dead ability, and Wondrous Wand for your Dragon deck. Rogue class can be extremely powerful when it has the right tools in hand. 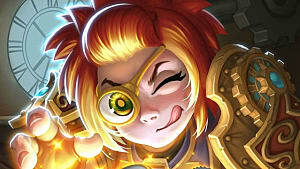 That's why the two best bundles you can choose from are Jade Lotus and Outlaws, with the latter one being the high-octane pirate bundle that is probably the fastest archetype of all. No matter which of these two bundles you decide to play with, always take the Cloak of Invisibility ability. Making all your minions permanently stealthy will result in a long streak of fast wins. 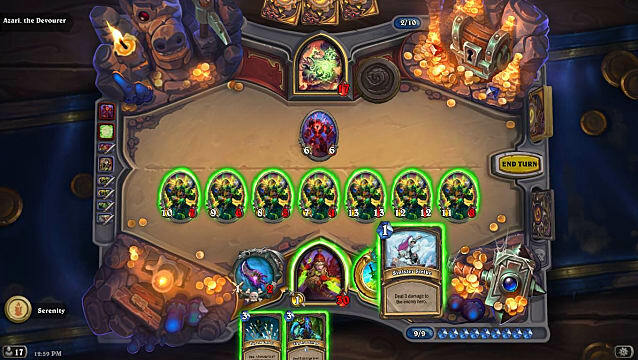 Rogue can have a lot of trouble removing the enemy's board and staying alive, so choose the correct treasure cards, such as Wand of Disintegration that destroys all enemy minions, and The Candle, a powerful AOE that returns to your deck. There are a couple of viable archetypes for Shaman class, such as Jade Lotus and Mechanized. 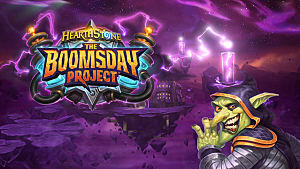 The last one is especially exciting since it brings back all those overpowered mechs from the "Goblins vs Gnomes" era. As usual, with these particular archetypes you want to have Captured Flag and Cloak of Invisibility. These will make sure that your minions will stay on board untouched and well buffed. Additionally, such treasures as Bag of Stuffing and Boots of Haste will give you an unprecedented tempo in case some of the more dangerous bosses still find a way to clear your board. It sometimes can be hard for Warlock to stay alive in Dungeon Run due to its hero power, but there are a few combos that will help you survive and win your matches. In this case, consider taking the Dire Demons bundle, which includes Mal'Ganis, an extremely strong demon that makes your hero immune. In order for Mal'Ganis to stay alive, give it permanent stealth with the help of Cloak of Invisibility. You'll see that killing you will now be almost impossible. The other option is a combination of the Taunt and Lifesteal bundles. However, both of these require some additional ramping with such abilities as Crystal Gem and Sceptre of Summoning. If none of these appeal to you, then go for a typical aggressive zoo approach in the form of the Little Legion or Swarm bundles. History shows that Warrior is most effective when it plays with Pirates and Weapons. 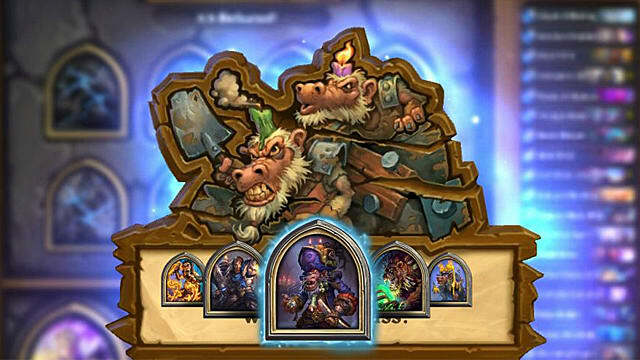 Of course, you could go with a more control-oriented deck, but when you have the most aggressive combo in Hearthstone, control doesn't look that appealing anymore. Grommash's Armguards is a perfect ability for Warrior, as it makes all your weapons cost only one mana. Imagine playing Arcanite Reaper or Gorehowl on turn one. Combine it with Portable Forge treasure for an extra legendary weapon, and always go face. The Pirates package, just like any other aggro bundle, should be supported by Captured Flag and Horn of Cenarius. You can try many other options for this Dungeon Run, and if you do, please let everybody know in the comments section below which combos worked the best for you.